I'm not shy about saying that Bauhaus Brew Labs is one of my favorite places on earth. It's an awesome brewery, run by a really fun family and a great group of their best friends. Add a wedding into the mix and my heart explodes! 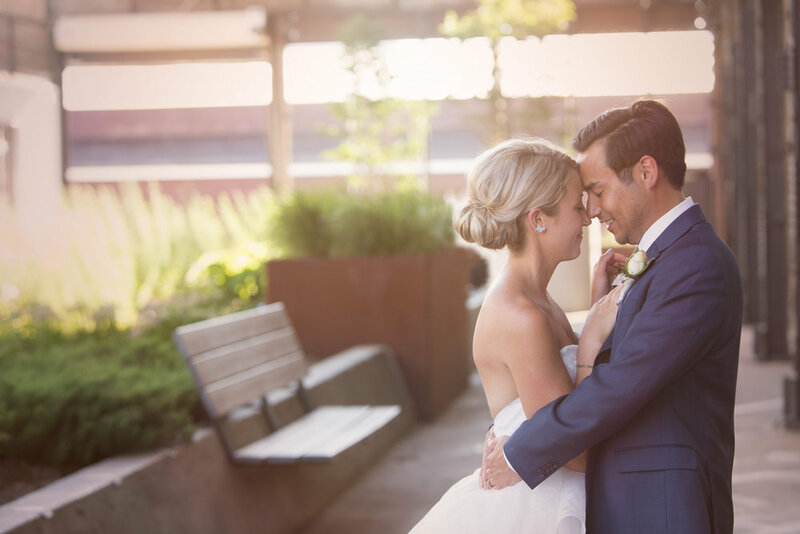 I had the joy of working with Katie and Alex for their wedding at Bauhaus this past June. These two are the SWEETEST and are surrounded by a really fun family and a great group of best friends. Catch the theme? This day was totally awesome! Some of my favorites from the day: These two kicked off the day with fun by renting a limo bus to take their bridal party around the city for photos. What a great way to take some stress out of the day - get on a bus and go for it! For their ceremony processional song, Katie and Alex chose "Sweet Pea" by Amos Lee. Listen to that cute tune and try not to tear up a little. 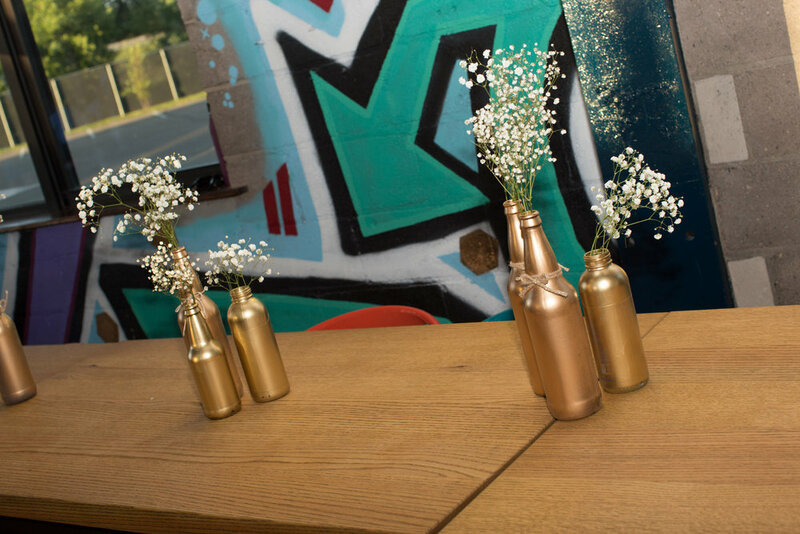 The decor they chose was simple and sweet - gold painted bottles filled with sprigs of babies breath, a nice complement to the Bauhaus space which doesn't require a lot of jazzing up. And their first dances! I'm not sure whether they practiced or not, but these two and their parents have MOVES. It was great to see everyone having a great time and celebrating to the fullest. 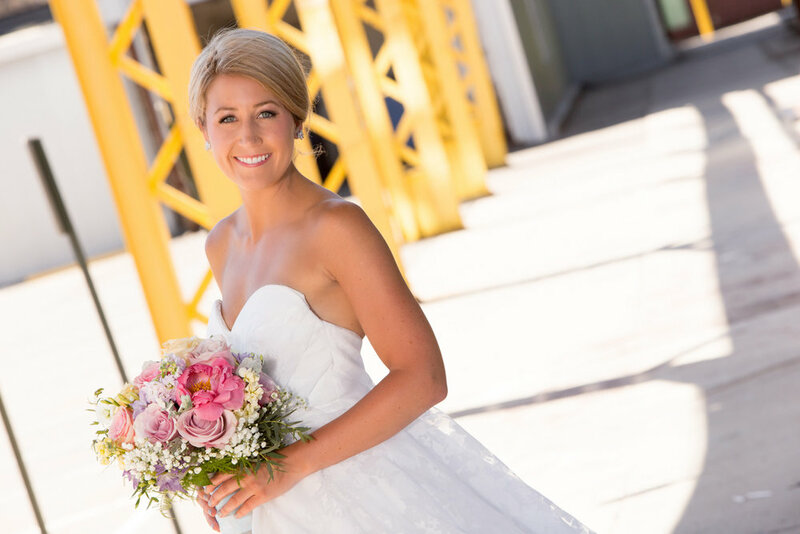 Here are a few images from Maris Ehlers Photography from the day. I love seeing these smiling faces!